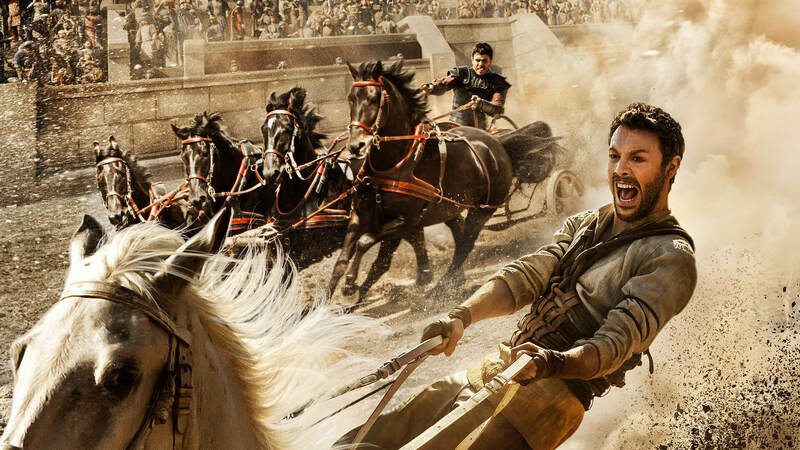 Take the reins of the most exhilarating chariot race in history, as you become Ben-Hur. Inspired by this year’s reimagining of the epic film, brave the twists of an ancient Roman arena and battle deadly charioteers for your life and the freedom of your family. In this race… the first to finish is the last to die. Experience the glory - and brutality - of ancient Rome. 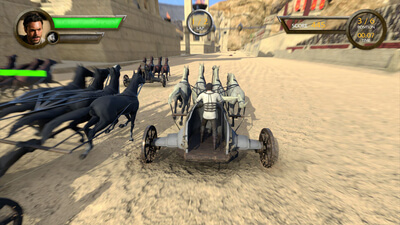 Race merciless charioteers through a stunning re-creation of the Roman arena in Jerusalem, fueled by the visual horsepower of the Xbox One. Race for glory. Crush your rivals. Show no mercy and survive each race by avoiding obstacles and using them against your rivals. Each victory unlocks more difficult tracks, and drives you closer to victory. But if your chariot’s health runs out, so do your chances at freedom. 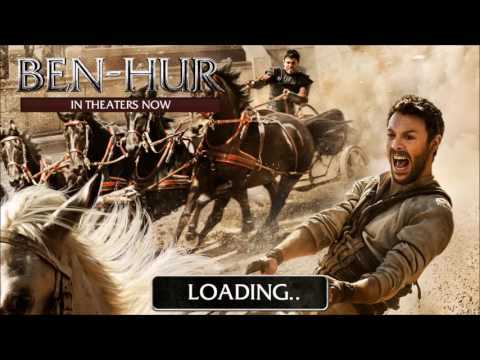 Step into the story of Judah Ben-Hur. Betrayed by your own brother, the ancient arena is your road to revenge. With each race that you win, you’ll sharpen your skills for the final battle. Ben-Hur doesn't succeed as a game or as an advertisement for the film. In fact, all it's really good for is some easy achievement points. There never was a promotional title released that was successful. Ben-Hur confirmas that years after release of games such as Yaris or Big-Bumpin'. Simple one-sequece games do disservice to gamers and discourage potential future customers.